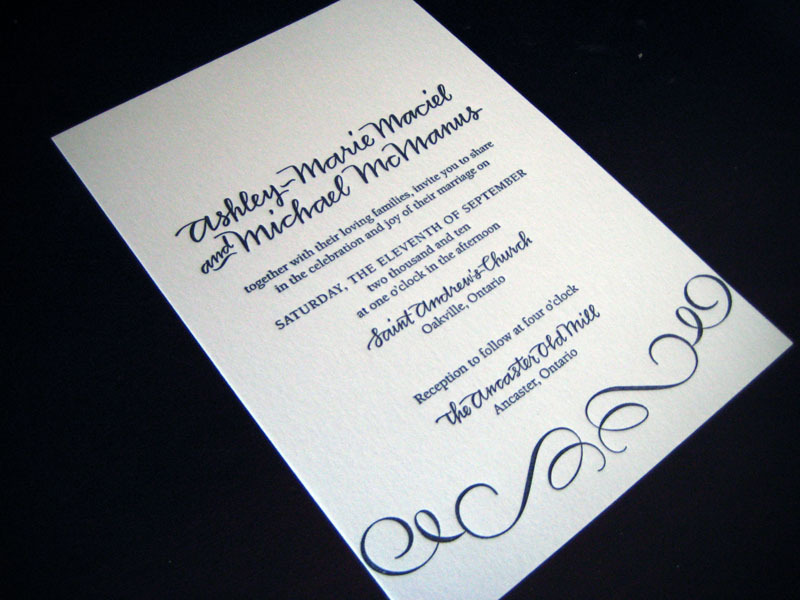 This is an invitation we printed for Ashley and Michael with our letterpress printing service. Ashley submitted her 1-colour design to us and we printed it for her! Printed in black on 100% cotton Crane Lettra. wow this invite is so awesome! 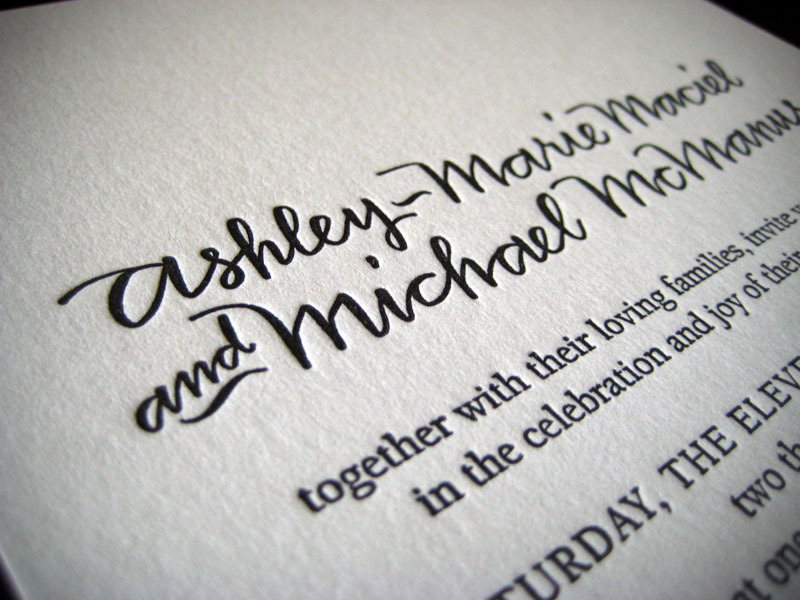 what is that font? i love it! I’m not sure what the font is, Edith, since we did not design it. Ashley submitted her own design to us to print.